Look at you, sitting at home like a dunce, thinking you're all done with loot-based shooters. You'll never be done crafting parts, collecting materials, and shooting bad folks. You hear me?! Never. To really drive that point home, Tribute Games has announced that Mercenary Kings Reloaded Edition will be available on February 6th. For PlayStation 4 and PC, it'll arrive in the form of a completely free update for current owners, but this will be the first time the game's available in any form on the Switch, so, you know, you gotta pay something for it. As shown in the above trailer, this update to the four player co-op game will add two new characters, tons of weapon parts, a few more knives, and a bunch of additional content for you and your friends to check out. I'm personally leaning towards checking out that lil' robot, C-Zar. Who doesn't want to stab CLAW troops to death with an adorable automaton? 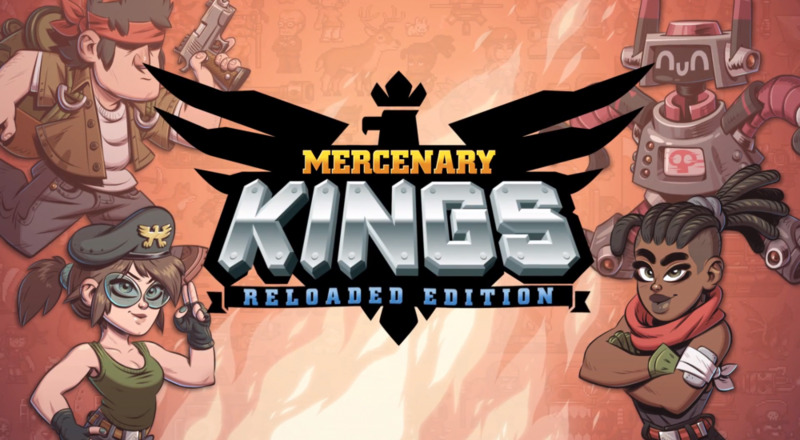 It's been a few years since we've heard much of anything on the Mercenary Kings front, but it's always nice to see new life breathed into an older game, especially one as good as this.